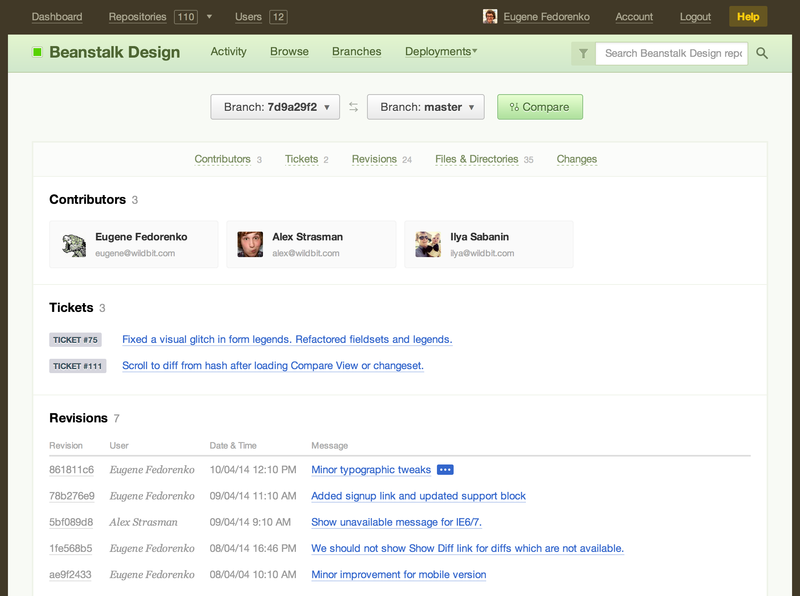 Beanstalk makes it easy for your entire team to communicate more, and communicate better. 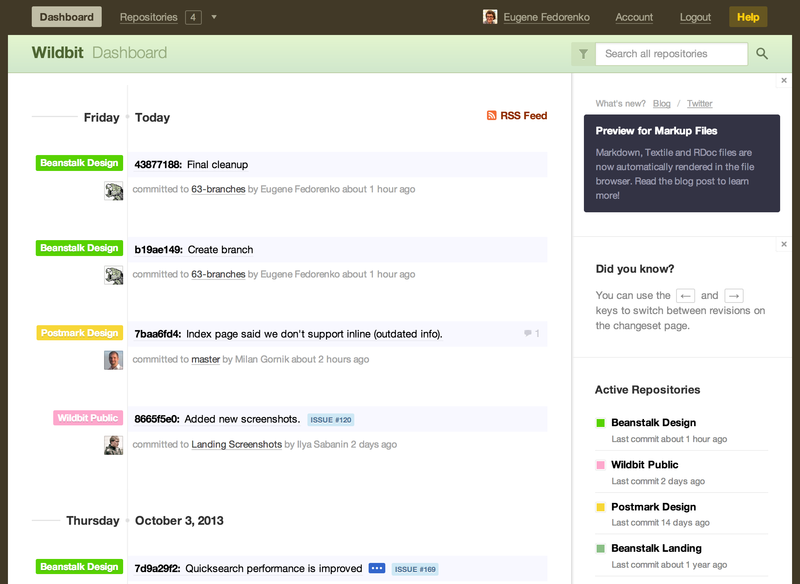 The pulse of your team's work and progress. 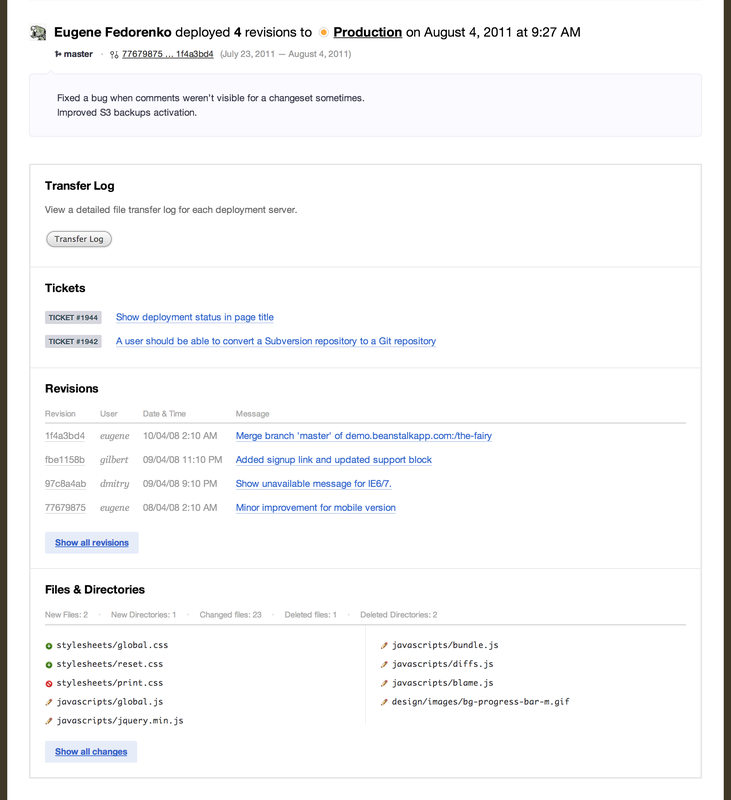 Know what work has been done, when, and by who by browsing to your repository and deployment activity pages. 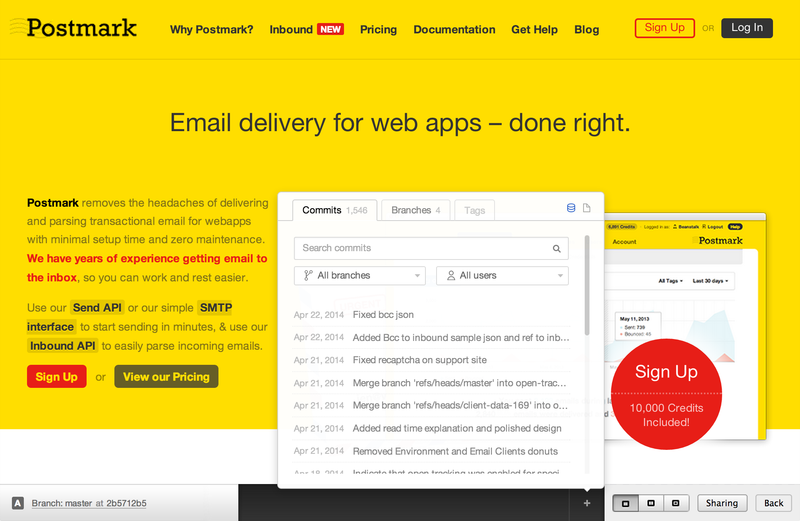 Subscribe to real-time and daily digest email notifications in your inbox. See who last touched every line of code. When you want to know who is responsible for a specific line of code, blame gives you the user, revision, and comment of the last change made to that line. 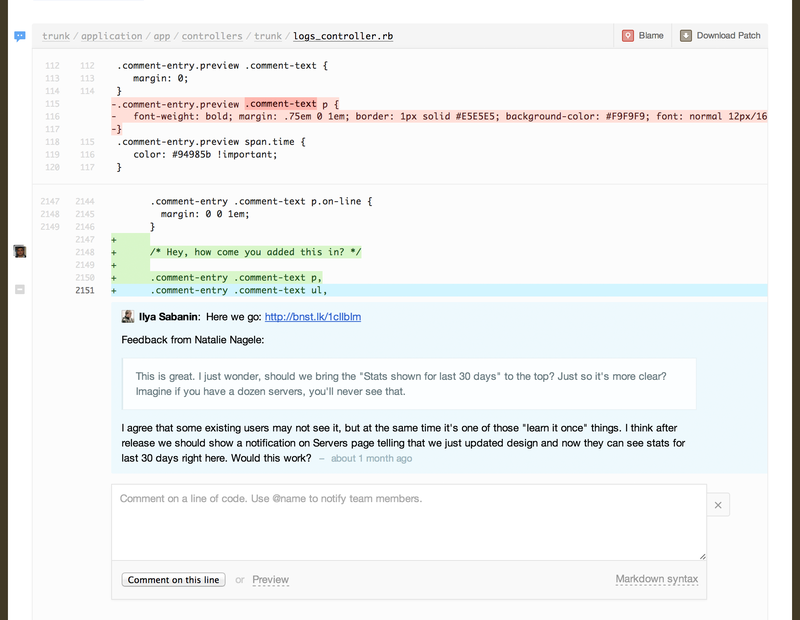 Avoid mistakes & improve code with peer review. Visually diff files on the web, leave comments on changesets and even specific lines of code. Review code and comment on changesets from your inbox, too. See the difference between branches, tags and commits. 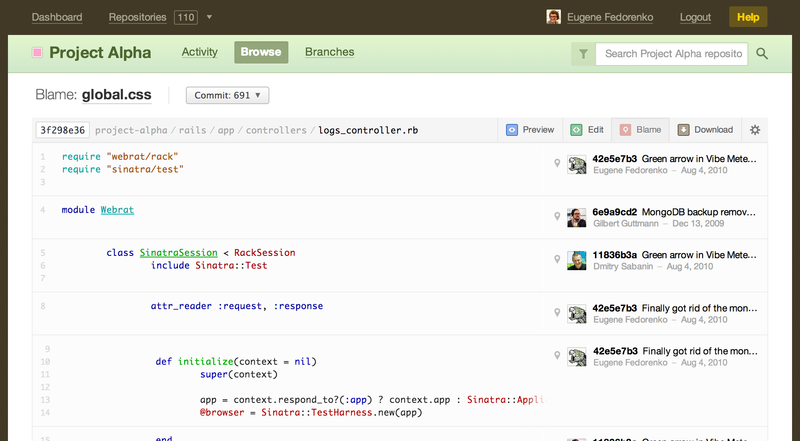 Compare branches, tags and commits in Git and branches in SVN. 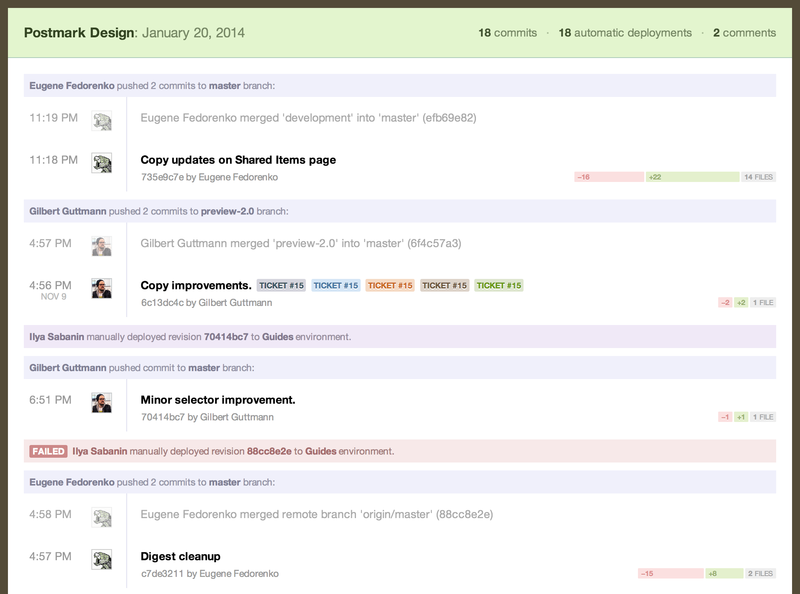 See the difference in revisions, files, contributors and associated tickets. It’s perfect for reviewing code before merging. Designers can track and share their changes. Instantly preview HTML mockups and image files, compare versions side by side, and share them with your team, colleagues, and clients. Manage user access for individual branches. Restrict write access to certain branches, allowing you to control the workflow and merge process with your team. Never miss an update, formatted for every device. Even when you’re not at your desk, Beanstalk can send you notices about commit and deployment activity for every repository you care about. You can also start your day with a daily activity digest. Stop guessing what's on your servers. Always know exactly what was deployed and when. Team members can get email notifications on each Beanstalk deployment, view the status of servers and review release notes.